After a linkless beginning to the week, here’s your chance to catch up before I batten down the hatches on a very blustery day. The Expo Line Authority has made a very misguided decision to delete a planned bike center from the new Culver City Expo station, saving a relative few pennies now while creating untold costs down the line. The whole point of the Expo line is to provide an alternative to driving. Yet omitting the bike station will only encourage more people to drive — whether to the station or their destination — while discouraging people from biking to the train. And it will undoubtedly cost a lot less to build it now as part of the station than to add it on later. The Santa Monica Spoke says it’s time to hold them to their earlier promises, whether in person at Thursday’s Expo Line board meeting or by emailing key officials. And Better Bike’s Mark Elliot shares his letter (pdf), and dissects Expo’s last mile problem. I got a press release yesterday from And Dutch, a UK-based website now intent on bringing authentic Dutch bikes and gear to the US and Canada through their new North American site. More (exclusive Dutch) brands to follow soon! This could be a good resource for those hard to find Ditch bikes and accessories. However, you can already find some of those items right here in L.A. Personally, I’d start your search at Flying Pigeon LA, where you’ll find a wide selection of Dutch bikes, some of which have even been road tested uphill. If anyone knows of another local bike shop in the SoCal area that’s a good source for Dutch bikes and accessories, let me know. A great read from a Chicago cyclist refuting the absurd concept that supporting bikes means a war on cars. Definitely word reading. 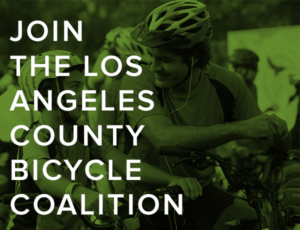 The county Board of Supervisors votes unanimously to request a more progressive bike plan; maybe it’s just me, but I’m starting to like these guys. The Times’ Hector Tobar takes a ride down Downtown’s new green bike lanes on Spring Street. Those quickly faded green lanes will soon be repainted; the damage occurred because the paint didn’t have time to set before the recent rains. Streetsblog names L.A. Planning intern Rye Baerg Government Worker of the Year. An overnight biking trip to Leo Carrillo State Beach. 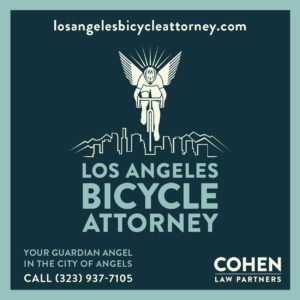 L.A. cyclist Alex de Cordoba writes for HuffPo on why more driver’s license checkpoints are needed. Two roundabout projects are moving forward on 4th Street. Practical bikes call for more practical racks; I’m just happy to find any usable rack when I get to my destination. 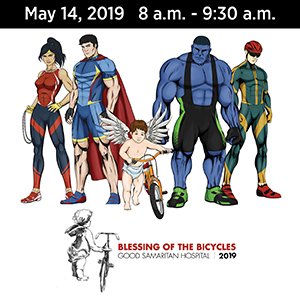 Flying Pigeon’s next brewery ride takes place this Saturday. As if cars aren’t enough to worry about, a Burbank mountain biker encounters a black bear. Long Beach gets a new bike shop. Outside magazine names local bike scribe Patrick Brady’s Red Kite Prayer as the best of the nation’s top 10 biking blogs; can’t argue with that choice. A memorial will be held Thursday for Anthony Martinez, the 6-year old Oxnard bike rider killed on Thanksgiving Day; nice to see a ghost bike has been installed in his honor and heartbreaking that it was necessary. A 10-year old San Diego bike rider is injured in a left cross, while another cyclist is seriously injured after getting Jerry Browned when a car tries to pass at far less than three feet. San Diego’s People’s Photographer takes a look at a bike commuting family. Take a short drive — or long ride — south to meet and ride with Mia Birk, president of Alta Planning + Design and former Portland Bicycle Program Manager. Or you can just wait until the 15th and meet her in Long Beach. A left cross is caught on camera; fortunately, the rider wasn’t seriously hurt. A San Francisco bus driver could face charges in the death of a cyclist last August. A Santa Rosa cyclist is killed after being hit by two cars. Palo Alto could get a bike bridge over Hwy 101. A bike novel by a Mill Valley writer is headed for the big screen. This is nothing to be thankful for, as California saw 27 traffic fatalities and 1475 arrests for DUI over the Thanksgiving weekend. Biking could be beneficial to your brain. Congress may be trying to kill TIGER funding for bikes and pedestrians; can someone please tell me when and why the GOP became anti-anything but cars? New Federal regulations require consideration of cyclists when rumble strips are installed on highways. Bicycling explains how to quiet a noisy bike. A Tucson Trader Joe’s listens to complaints and installs better bike parking. Nevada is working on statewide bike plan; now there’s a concept worth exporting from the Silver State. A Salt Lake City columnist says it’s bad enough when vehicle to vehicle collisions occur, and worse when one party is totally vulnerable; amen to that. Fifty-six percent of cyclists run red lights in a new Portland State study. A Seattle driver is under arrest after running down a cyclist who refused to buy him a beer. My hometown is partnering with Colorado State University to study the economic impacts of cycling; that’s one study I’ll look forward to reading. Can a city that bans ebikes from paved trails be considered bike friendly? The city of Detroit offers great biking; some of the suburbs not so much. NYPD prepares for their latest crackdown on bicyclists, this time on the killer bikers of Prospect Park, while transportation advocates more rationally demand the city crack down on dangerous drivers. Maybe the solution is haiku traffic safety signs. Performance Bicycle has joined Bikes Belong. The right bra makes all the difference for winter riding. A long list of don’ts for women wheelers. Using your bike wheel to create animation, or using animation to explain cycling. Canadian cyclists need more protection, and think side guards on trucks could help. Yet the country has a serious disconnect when it comes to biking, as 73% think cyclists deserve more respect from motorists, while four out of five Canadians think they won’t get it until they respect the rules of the road. British onlookers rush to the rescue when a cyclist is trapped beneath the car that hit him. The UK’s Department for Transport says slowing motorists is the best way to increase safety for cycling, yet London cyclists oddly object to being used as human speed bumps. Four people are under arrest for a hit-and-run collision that left a Brit bike cop injured. Call him Mark Cavendish, MBE. Bike journalist Carlton Reid discusses his upcoming book, Roads Were Not Built for Cars. Don’t criticize anyone until you’ve cycled in their shoes. Bicycling is vilified in Australia, despite being a nation of bike riders, but it’s getting big in Bangalore. Finally, I haven’t always agreed with the OC Register’s David Whiting, but his latest column is dead on, noting that recent cycling deaths point out the importance of truly sharing the road. 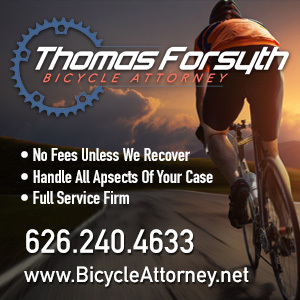 And a Santa Monica cyclist is behind bars after running two red lights with an outstanding warrant for DUI — and someone else’s wallet. Seriously, if you’re wanted by the authorities and carrying stolen property, stop for red lights already.